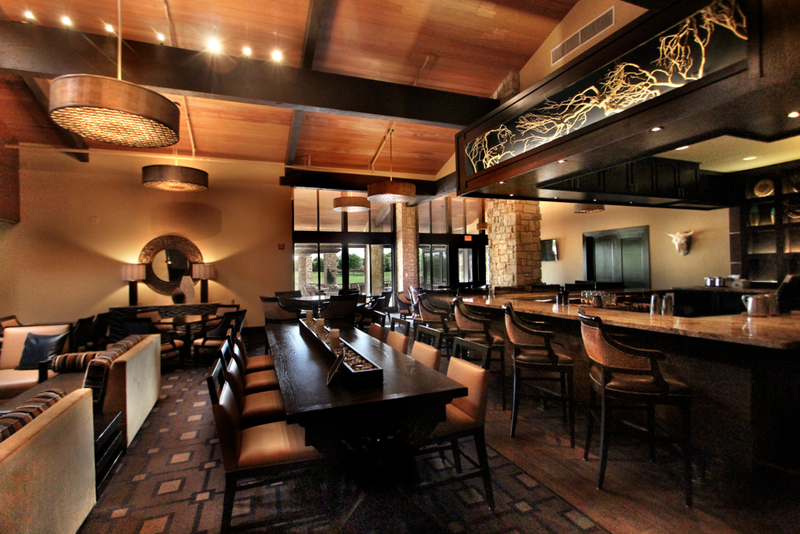 Club members love to relax, chat, and even work in one of the main hubs of a club: the grill. 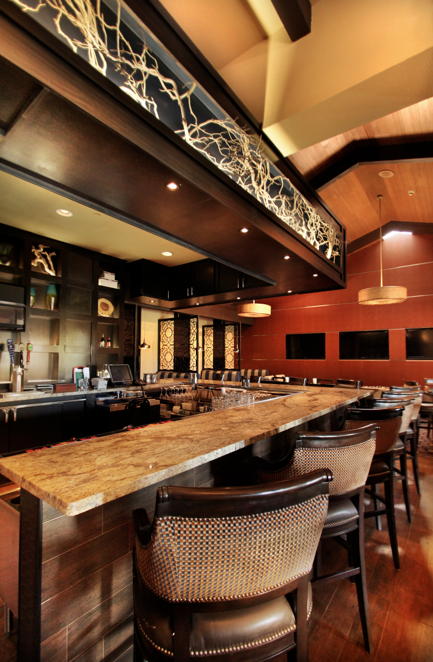 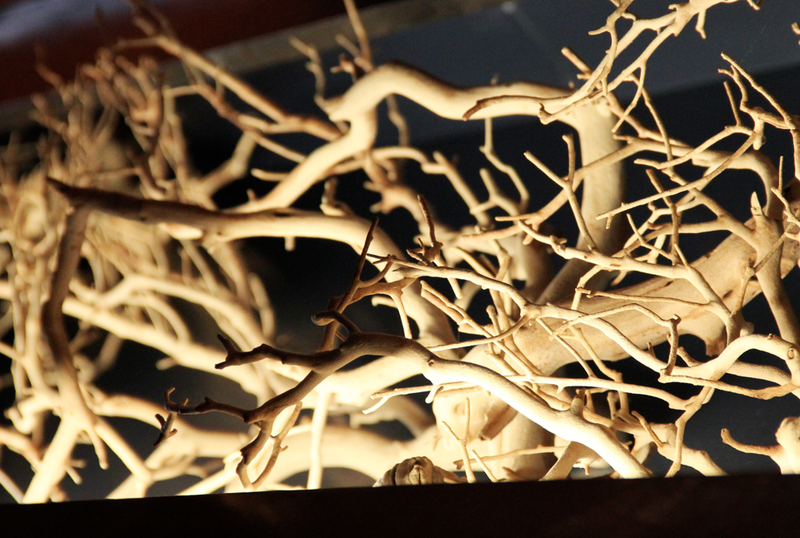 Food, drink, entertainment, and relaxation all happens here – so why create an environment that is anything short of dramatic? 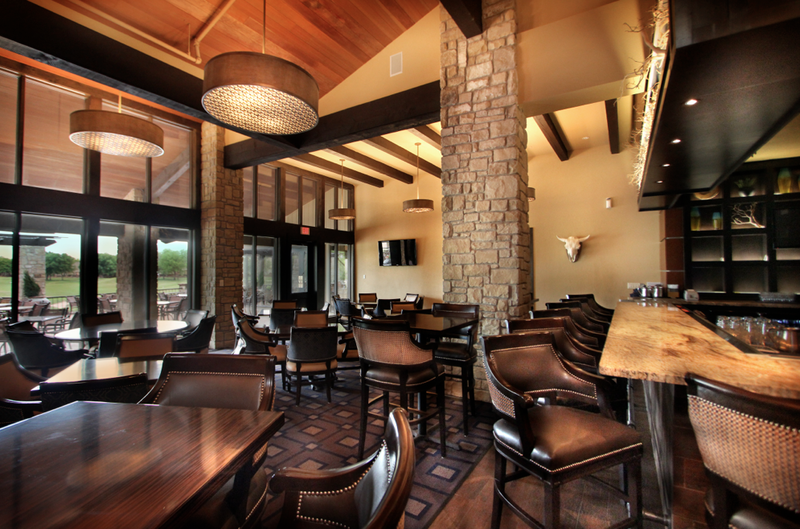 This Texas golf club features a grill that went quickly from enclosed and dated to creative and dynamic while keeping with the club’s rustic appeal.